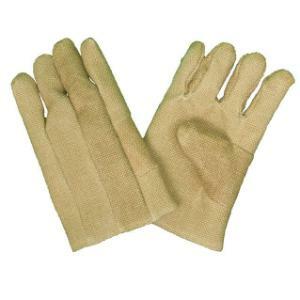 May be used at temperatures from 70° up to 650°C for short periods, gloves’ lint-free woven Zetex™ fiber provides excellent abrasion resistance. Gloves feature 10 oz. wool lining; double sewn for extra strength, and have a loose fitting cuff, 11" long to protect the wrists.